Definitely a star after the recent Australian Open winning and 16th slam title. Apart from his extraordinary success on the tennis court, Roger Federer is a legend of sport far beyond anything that tennis has ever seen. His story can be said to rival that of the great Williams sisters. He was not born in a poor country or to poor parents or to a marginalized community. However he has been a transformative figure in the whole of tennis as well sports in general. The records are heavily in his favor, having just won his sixteenth singles grand slam cup at the expense of the ridiculously overhyped Andy Murray. His ardent fans point to the fact that apart from being a remarkable tennis player, Roger is also an extraordinary human being whose life is an inspiration to everyone. This article is a meager attempt to describe the towering background and achievement of such a great figure. It is neither definitive nor exhaustive but it is a great start to exploring the life and times of the great that is Roger Federer. The tennis has been explored to death thus my decision to incorporate some of the other aspects of his rich life in order to create some balance. Tiger Woods was born in California to the Earl Woods and his wife Kutilda. His father was a retired a United States Lieutenant Colonel Army and a Vietnam War Veteran. Tiger has a unique heritage blend of America, Native Indians, Dutch and Chinese descent from his father, and Thai, Dutch and Chinese ancestry from his mother Kutilda. His middle name Tont is actually a traditional Thai name. He eventually got his nickname from his father’s friend, Vuong Dang Phong, who was also a Vietnamese veteran soldier. Woods grew up in Orange County California and graduated from the Western High School in Anaheim back in 1994. 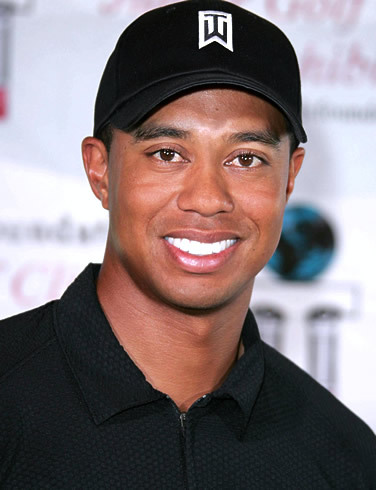 Woods was a child prodigy who began to show his early talents in golf as early as two years old. He was only three when he shot a 47 over nine holes at the navy Golf Club in California. When he was eight he won the boys’ event at the Junior World Golf Championship. He won the Junior Championships again six times which includes four consecutive wins from 1988 to 1991. Lance Armstrong is a world class American athlete who won several world cycling championships and also a famous cancer survivor. This remarkable athlete won the highly prestigious Tour de France seven times straight in a row which made him the most successful athlete in the world of cycling. Who is Lance Armstrong and how did he developed such amazing skills to excel both professionally as an athlete and in his personal life as a successful cancer survivor?